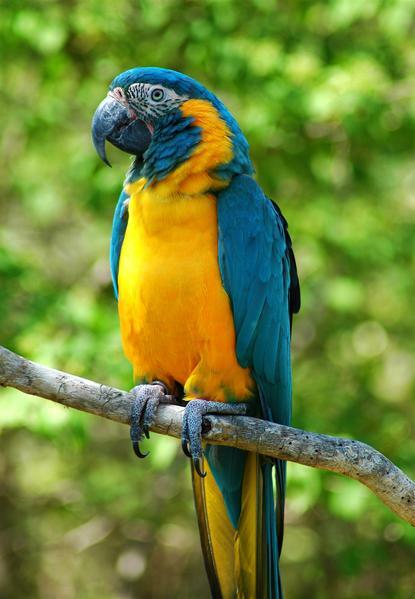 Blue-throated macaws are the rarest species of macaws in the wild. 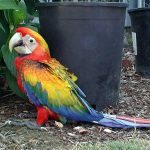 They are rather popular in the pet trade and are kept as pets widely because of the vivid coloring and friendly characteristics. 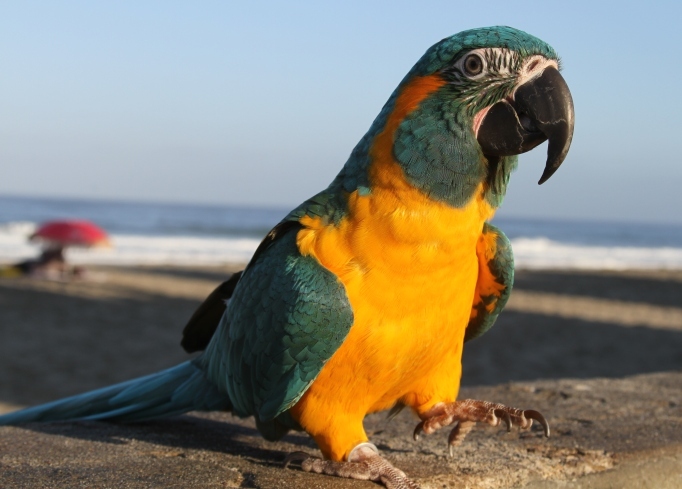 These beautiful birds are highly sought after as pets. They are inquisitive, intelligent and cheerful. 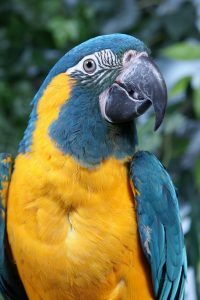 The finer nuances of how to deal with a pet blue-throated macaw are discussed below. These large macaws need to be provided as large a cage as one can afford. 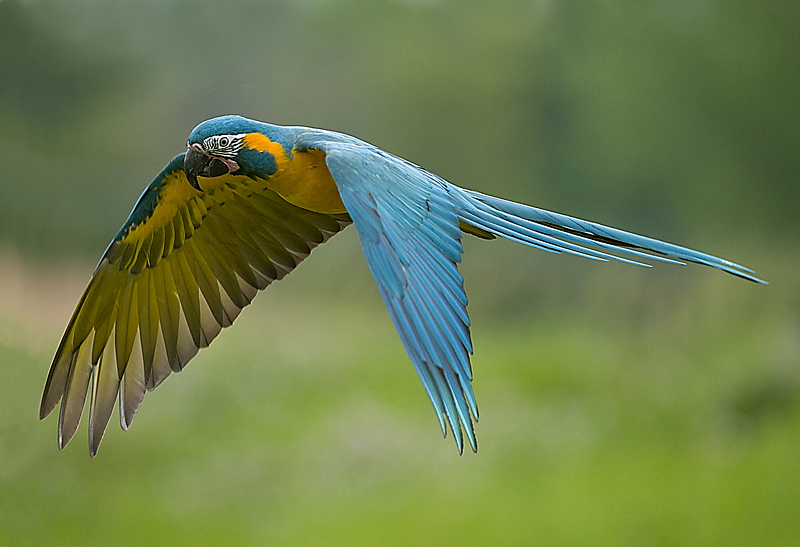 Their 3 feet long wingspan necessitates a spacious enclosure with a lock or an escape proof latch. They need to have enough room to move about freely. Minimum dimensions are 5’X5’X8’, but the larger, the better. The cage should be built with strong wiring. Provide perches, toys, chewable and regular, chewable branches for the bird’s enrichment. Let the bird out of its cage for at least 2 hours a day. 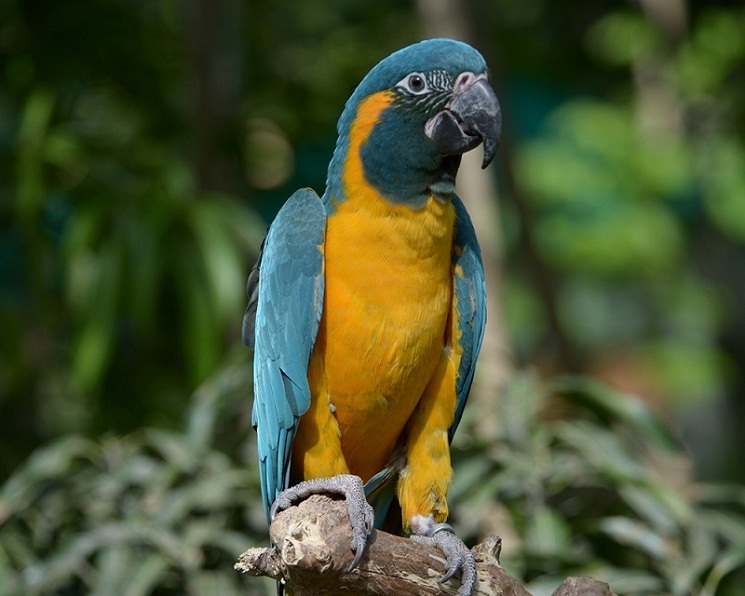 The ambient temperature around the blue-throated macaw should never be below 50°F (10°C). 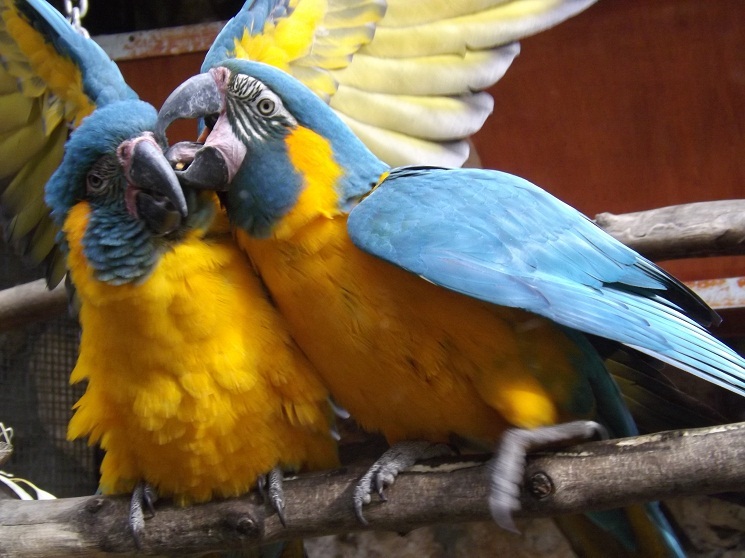 They are a very social bird in the wild and hold on to this trait even when kept as a pet. They enjoy being in the company of people as well as other birds and rarely seen getting aggressive. 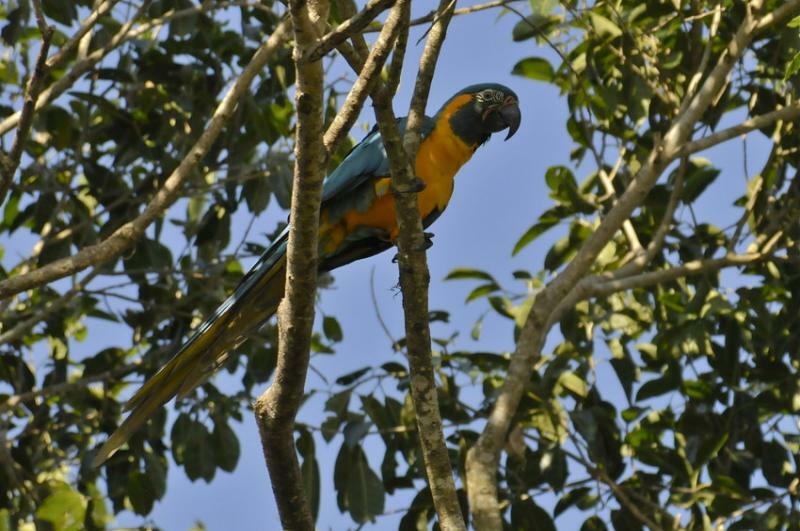 They are also very self-sufficient and can keep themselves entertained for long hours. 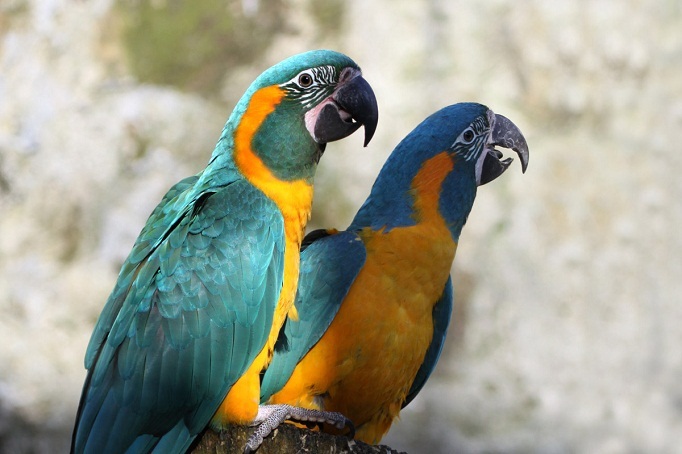 They are suitable as a family bird as they can gel well with all members of the family. They do, however, retain some macaw instincts and can be nippy on seldom occasions. Socialize your bird with many people from a young age so that it stays friendly. 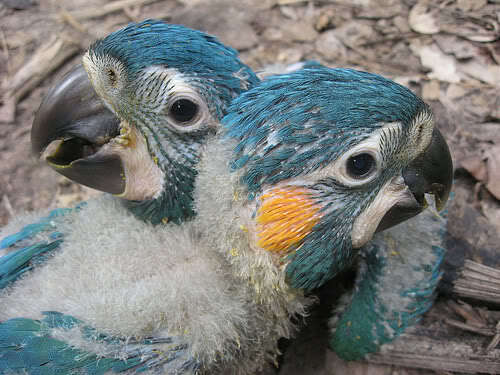 Blue-throated macaws should be given a pellet or seed mix on a daily basis. You can also feed them any nutritious food you eat. Occasionally giving them chicken can fulfill their need for protein. 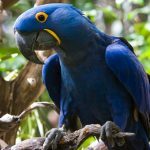 Do not give them chocolate and avocado as those can prove fatal for the bird. They come from a humid habitat in the wild, so ensure that they are bathed every day either in a birdbath or through a mist spray, you can also take them with you when you take a shower. The water should be at room temperature. 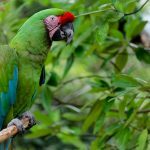 Clip the nails and beak every two months. 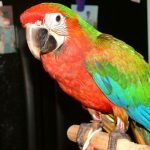 Clean the food and water dishes in the cage with regularity. Regular visits to a vet, a balanced diet, and a healthy lifestyle can keep most of the above illnesses at bay. They cost between $2,000 and $3,000. 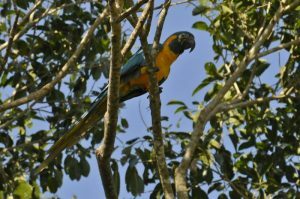 The captive population of blue-throated macaws is around 1,000-1,100 individuals while the wild population is believed to be around 350-400 and on an upswing thanks to a concerted conservation project.